Ask fellow campers about "Tallahassee East Campground " and nearby attractions. Like others have said, this is an older park that needs some upgrades. The new managers have only been in charge since the beginning of 2019, so they deserve the time to start getting things right. They were very helpful and I was pleased to stay at this park given the other options in the area are not very good. We camped at Tallahassee East Campground in a Motorhome. This is a very run-down former KOA (still listed on the KOA website, but don't be fooled - they aren't KOA anymore). The park is in very poor condition. Although it is adjacent to I-10, you have to go to the exit just east of the park and travel county roads for a couple of miles to reach the park entrance. Interior roads and sites are dirt. All sites are pull-throughs but ours had tree roots on top of the ground. The cover for the sewer connection was a concrete plug that was difficult to remove. There are no cable or wifi, but you can get several OTA TV channels out of Tallahassee. This park needs to spend a lot of money to upgrade, but based on comments from other reviewers, things have been pretty much the same for quite awhile. I would not stay here again and do not recommend it to anyone. We camped at Tallahassee East Campground in a Fifth Wheel. Stayed over night. No concrete pads however it was packed ground. Some water puddles but none interfered with driving. Contential breakfast bagels, etc., staff was very personable. Would recommend. We camped at Tallahassee East Campground in a Motorhome. I stayed many years ago when it was a KOA. Wow, was I surprised, it now is terrible. No TV, no WiFi. The sites are a over grown mess, weeds up to mid calf, roads are in bad condition. It has become a trailer park, no longer a RV park. The picnic table was all falling apart, old and worn out. We camped at Tallahassee East Campground in a Motorhome. Reading the previous reviews there are really no changes to the complex that I can add. The park is very quiet and the staff are very friendly and accommodating. They do have the Continental breakfast with great quiche. If your looking for a nice quiet place to park for a couple days and don't need wi-fi then this will do. We camped at Tallahassee East Campground in a Fifth Wheel. There isn't much to say about this campground. It was once a KOA. We stayed here a few years back when we were traveling I-10. Nothing has changed in that time. The roads are mostly sand and potholes. Some of the road has been stoned. If this project continues, the roads will be much easier to navigate. Many of the sites where folks have homesteaded are overrun with weeds. This is definitely a campground. If it rains hard, you're going to have a dirty RV due to the dirt & sand roads and sites. Just not many choices in this area. We camped at Tallahassee East Campground in a Motorhome. Lots of trees. A1-A7 are all wide open for satellite but close together. Nice staff. But the place is trashy. Roads are decent, made of a black gravel. But everything else is dirt and grass. Sewer inlet is same level as our outlet, so dumping was a challenge. Why do parks make our lives more difficult? Noise wasn't too bad as the site was in the back. Site could get satellite. We camped at Tallahassee East Campground in a Fifth Wheel. Quiet, clean, friendly. Nothing fancy but fits all our needs just fine. Gravel roads, well kept considering its the rainy season. Nice place, would reccomend. We camped at Tallahassee East Campground in a Motorhome. Within a couple miles of McDonald's, Arby's and gas. Run down park, dusty and dirty, low tree branches, poor 50 amp power, weeds grown up around utilities at sites and very noisy since next to interstate. We camped at Tallahassee East Campground in a Motorhome. I stayed here for 3 nights in October 2016 in a 24' Travel Trailer. The owner was at the desk during my check-in. He was very busy due to Hurricane Matthew in Florida but he was very accommodating and pleasant. The roads in the campground are not paved, nor are the sites. This is not a fancy high end RV resort and there's a few dilapidated trailers in the back of the park but I found it to be very convenient. My pull through was level, however, and it was sufficient for my needs. After I set up camp, I went for a swim in the pool. It was just cleaned by the maintenance man and he said he did the best he could and he hoped I enjoyed it! I did a load of laundry for $2.00 for the wash and $1.00 for the dryer; an excellent deal! Also nice was the complimentary coffee, fruit and danishes which I've never seen anywhere before. WiFi was good at the open 24 hrs game room which also had a Large Screen TV and pool table; also a nice big library! However, the TV channels are limited so bring some DVD's. I would definitely stay here again when passing through Tallahassee on I-10! We camped at Tallahassee East Campground in a Travel Trailer. This is a great place to stay if you plan on visiting the state capitol of Florida which is about 15 miles away; or a good overnight stop. Grass site. Ex KOA campground with many extended stay campers. Appears to have zero maintenance. Roads in the park are sand and the potholes are huge. Didn't check the bathrooms or showers. No wifi at the sites, just in the rec hall. Overpriced for what you get. We camped at Tallahassee East Campground in a Motorhome. This is an older and needs some work, type of park, but handy to I-10 for an overnight. Sites are large and you get a pull through for one night. Sites are sand, level with older services. Water was 40psi, power was 50amp and good. We were told the Wi-Fi was spotty but at our site it was good. The one great thing is they serve breakfast, not many places left that do that. We would use this campground for overnight again. We camped at Tallahassee East Campground in a Fifth Wheel. This is nothing fancy, but a good place to get off the road for the night. Good signage getting to the park. Once inside the park the roads are poor, potholes, sand/dirt. We had a long pull through on grass. Utilities were good because the sites were back ins converted to pull throughs. Other reviews are correct, not much maintenance going on here. Pool is not usable and probably hasn't been for some time. Leaves need to be raked up, but overall it's a good enough place to stop for the night. We would stay again if passing through. We camped at Tallahassee East Campground in a Motorhome. Former KOA campground, borders I-10 interstate. Sites are packed sand with no patio but a picnic table and good length. Campground is in bad shape. Pool was a mess. Leaves were everywhere. Evident that there was no groundskeeper on duty while we were there. A complementary breakfast was served but the gentlemen in the office was too busy watching program on his computer to speak with us. Quite a few older RVs there, possibly monthly rentals. Probably will pass up this campground on future trips. There are other campgrounds in the area. We stayed here since our first choice park was full. Overnight stop only. We camped at Tallahassee East Campground in a Motorhome. Pull thru, full hookup, big rig friendly, and friendly service. Free breakfast, laundry, game room, camp store, and pool. Big pond, dog friendly, fishing (no license required ). Cabins, RV storage, close to town and I-10. No cable, but we got 16 air channels. WiFi is unprotected and really can't connect out in the park as it is very weak. They just changed from KOA to Good Sam and are working on better WiFi. We would stay again for short periods. We camped at Tallahassee East Campground in a Travel Trailer. Lots of stores and shopping nearby and nice restaurants. Park was a little close entering the driveway, but the spaces were well spaced. Most sites were pull through. Very quiet and peaceful. Call for a reservation for the 4 long sites. 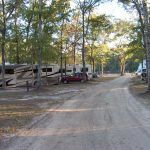 Are you affiliated with Tallahassee East Campground ?